This is our Wild Cat Nose. Like most of our pieces, this prosthetic appliance was made to fit most faces. The main picture is the hot foam latex version applied and painted as a lion. 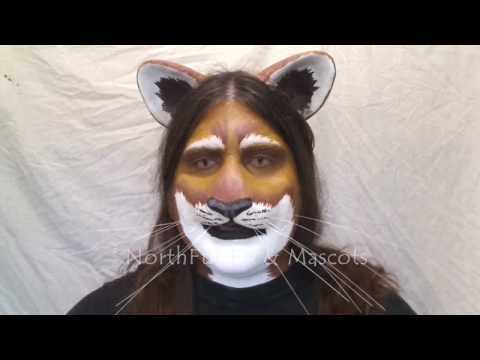 This nose has a larger shape and larger cat nose making it ideal for any big cat look. With different colors and markings, it can be used for any jungle cat such as lions, jaguars, tigers, leopards and more. It is one piece and comes unpainted by default. Price includes one unpainted prosthetic in the material of your choice. Custom painting and whiskers can be added to this nose.